The original album is one of the discs on this lavish package that celebrates the album’s 25th anniversary; it also contains another CD of bonus songs of demos and early versions of songs, as well as two previously tracks that were recorded in South Africa in 1985. The aforementioned documentary, Under African Skies, directed by Joe Berlinger, which is also part of this set, features interviews with Simon, engineer Roy Hallee and the African musicians involved in Graceland. It chronicles the making of the record and the climate of apartheid when it was still in place in South Africa before the release of Nelson Mandela. Among the touching aspectsof the film are Simon’s recent return to South Africa and reunion with the South African musicians and his meeting with Dali Tambo of Artists Against Apartheid to talk about the controversy from the perspective of both sides. In the end, this well-made film shows music is a unifying force that goes beyond politics. (The set is also includes another DVD, Graceland: The African Concert, filmed in Zimbabwe in 1987 featuring Simon, Ladysmith Black Mambazo, Hugh Masekela and the late singer Miriam Makeba). 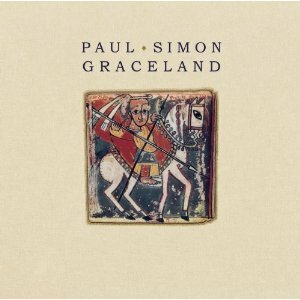 Given the fact that this work is Simon’s most recognizable outside of Simon and Garfunkel with its amazing music, history and impact, Graceland certainly deserves this full-on deluxe treatment.